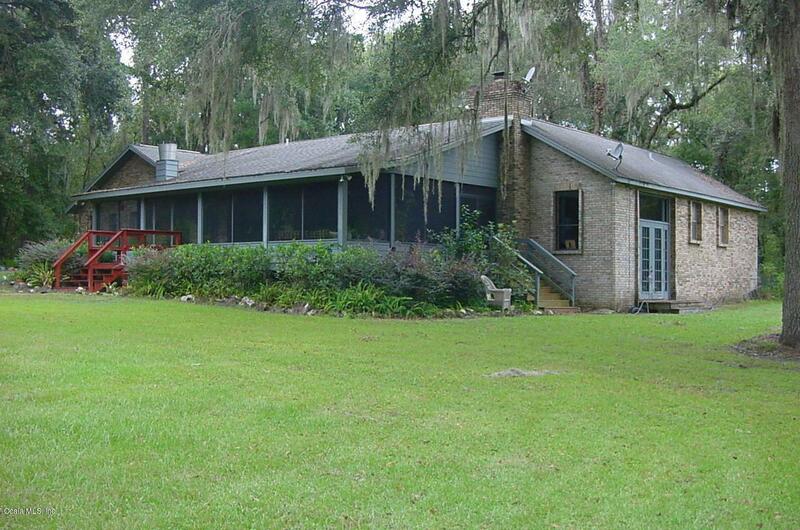 Two lovely homes situated on 10 acres NW Ocala, minutes from HITS & World Eq Center South. 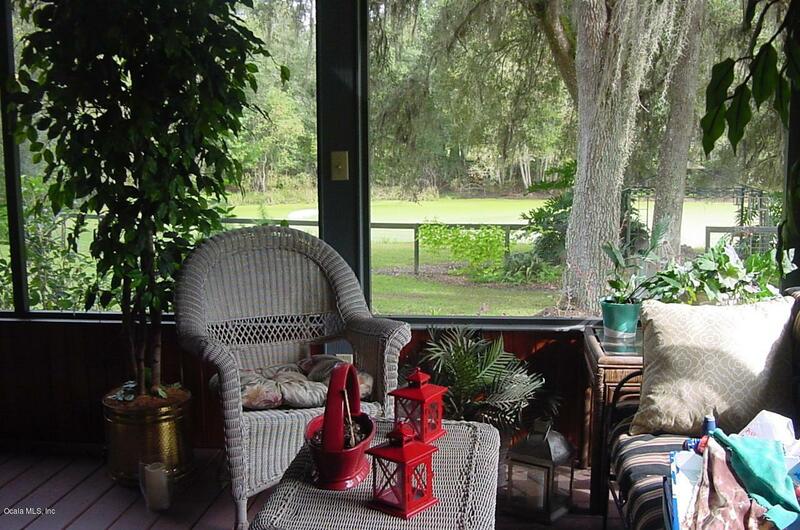 Main home, split level 3/2, open concept with spacious wrap around screened porch. Lower level is cozy sitting area, fireplace with raised hearth; glass french doors leading to fenced pond area. Bedrooms all on main floor. 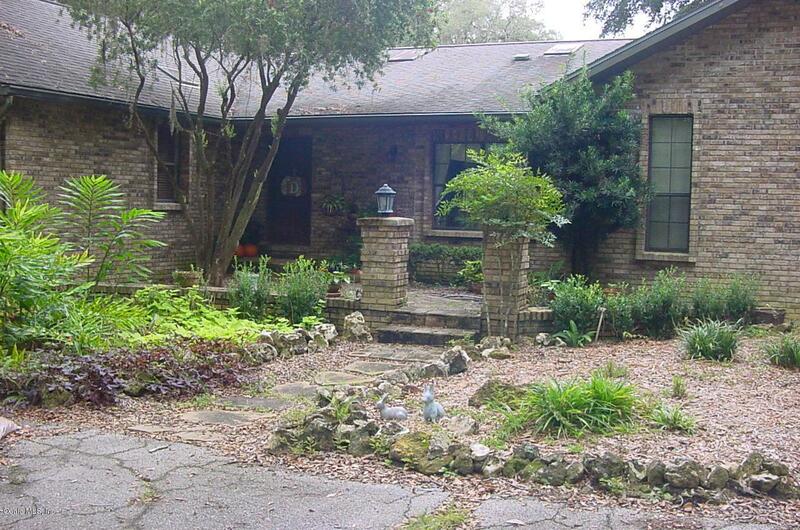 Two story adorable cottage 2/2, with bedroom & bath upstairs, and bedroom & bath downstairs plus Florida room. Both homes have new AC units in 2018. A well maintained property, fenced and cross fenced includes 4 stall shed-row barn with office, tack/feed room, bathrm/laundry and wash stall. Neighborhood riding & driving horse trails. 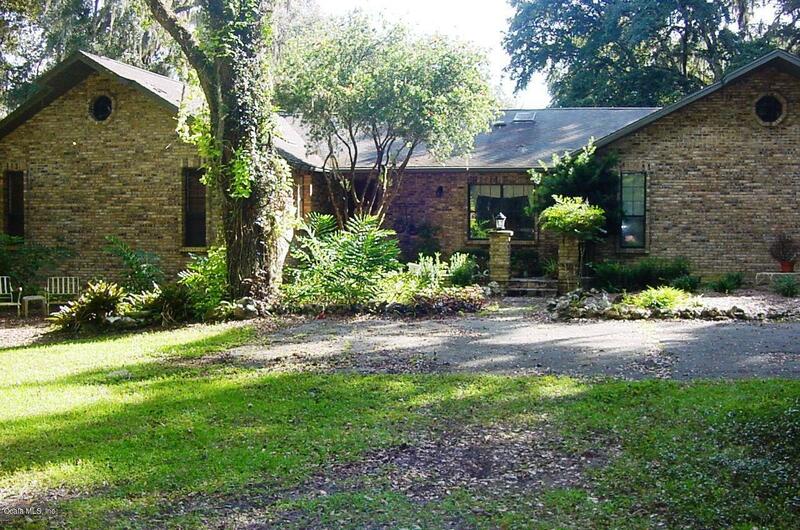 Listing provided courtesy of Kristin Freeman-Lowry of Desiree Barbazon Realty.